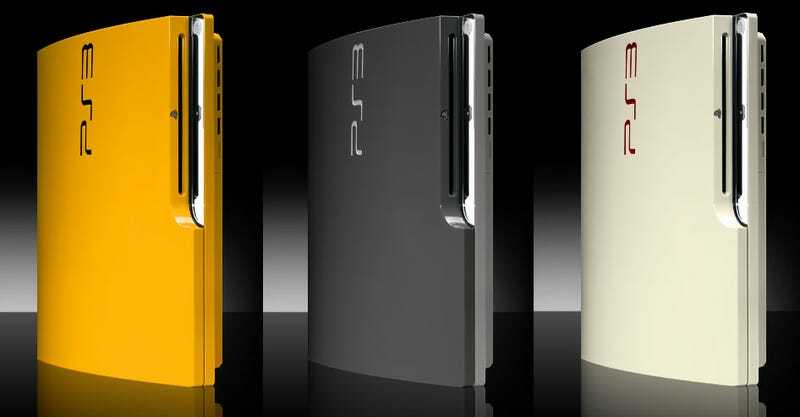 While the old PS3 was released in black, white, even "gunmetal", the PS3 Slim is so far available in one colour: black. Or, at least that's the only colour available officially. Console detailing specialists Colorware have announced that they're now taking orders for the PS3 Slim. As with the company's previous offerings, you can either send in your existing console (which costs $149) or buy one from them directly, which goes for $449. Pricey, yes, but then, what price individuality?